Avoid the lines at Barcelona’s most iconic monument and learn its history. Admire the impressive structure with its combination of Gothic and Art Nouveau architecture. Book now! 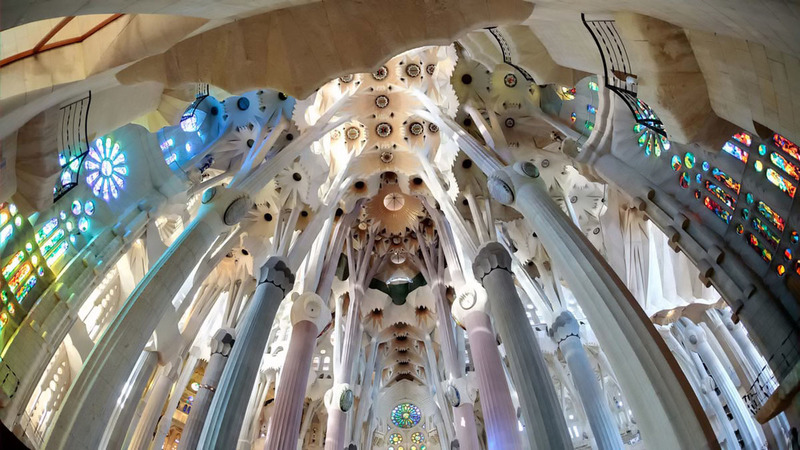 Save your time with a Skip-the-line guided tour and visit the most important masterpiece of Gaudí: the world-famous Sagrada Familia. Once you are in, you can admire stunning windows and wonderful white ceramics. Our tour guide will satisfy all sorts of questions and will take you on a wonderful trip in the Gaudí's world. Finally, visit the underground museum that hosts blueprints, photos, and original sketches. You can't miss the opportunity to visit one of the best examples of architecture ever made. •	Correct dress code is requested for entrance to the Sagrada Familia Basilica. No tank tops, strapless shirts, short shorts or sandals will be accepted. Plaza Sagrada Familia nº3 is on Sicilia Street between numbers 233 and 235.